These DIN rail mounted electronic modules have been designed to convert the position of a remote control (RC) potentiometer into industry standard 4-20mA current signals. The RC potentiometers are an integrated part of all Kwant Controls control units. Adjustable R/I-conversion circuit with span- and offset level calibration. 10 Volts reference voltage to power the potentiometer. Isolated output signal from the power supply. Mounted on a DIN-rail according to EN50022. Suitable for a 350° potentiometer with the standard 280° (80%) rotation angle. 355° potentiometer, single output for 360° control head. V-shaped output curve 20-4-4-20mA or 20-4-20mA for governor control. For a twin wiper 360° potentiometer, dual outputs with 90° offset. The Kwant Controls electronic dimmers of the ED-series yield an output voltage almost independent from the load current. 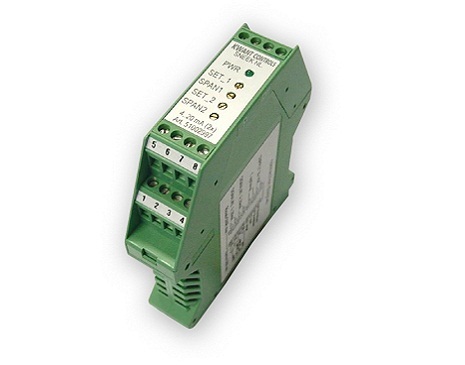 This is a great advantage compared to the traditional solution using a power potentiometer. 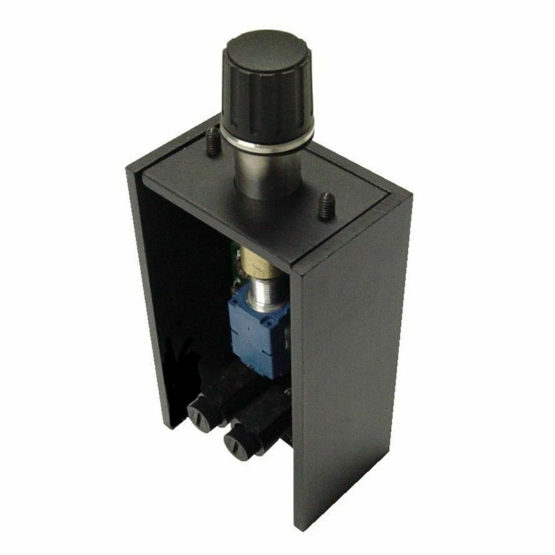 They have two galvanically isolated circuits that are suitable for systems supplied by 24VDC and are each protected by an internal fuse.